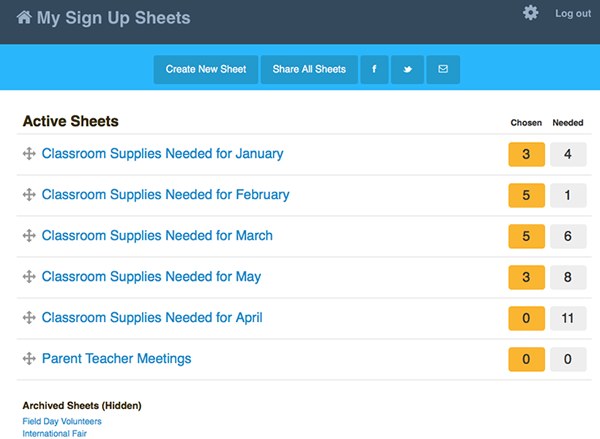 Bringit Sheets helps you get what you need, reduce waste and save time. It's like having a personal assistant that is an organizing genius! The Scholastic Book Fair at our school was a BIG success with over 70% parent participation. We organized our third State Fair – with 550 volunteers over four months – and never had a problem. Highly Recommended. A track record you can trust.